Hi. 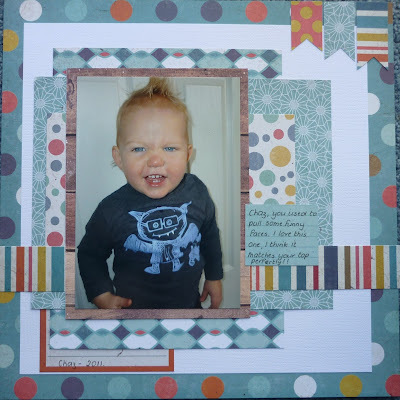 Today I'm sharing my entry for one of my fav challenge sites (because it's all about boys!). 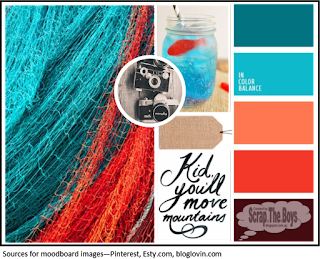 It's Scrap the Boys March challenge which was a mood board. Below is the mood board and then my interpretation. The photo is of my 3rd son Chaz back in 2011. (yes I've been hanging onto it for a while!) Thanks for looking - Nelle. What a great layout. Love your layering and such a cute photo too. Thanks for playing along with us at STB.